The way John Kellett came up with his idea for cleaning up Baltimore’s inner harbor was not that unique. In fact, the beginning of this story might even sound cliché. There was a cocktail napkin, a common problem recognized and engineering experience. Yet while what Kellett sketched on that napkin was simple, it was anything but trite. Most importantly, it would work. Kellet is the brains behind a one-of-a-kind wheel now spinning in Baltimore’s Inner Harbor, ridding Jones Falls River of hundreds of tons of trash every year. 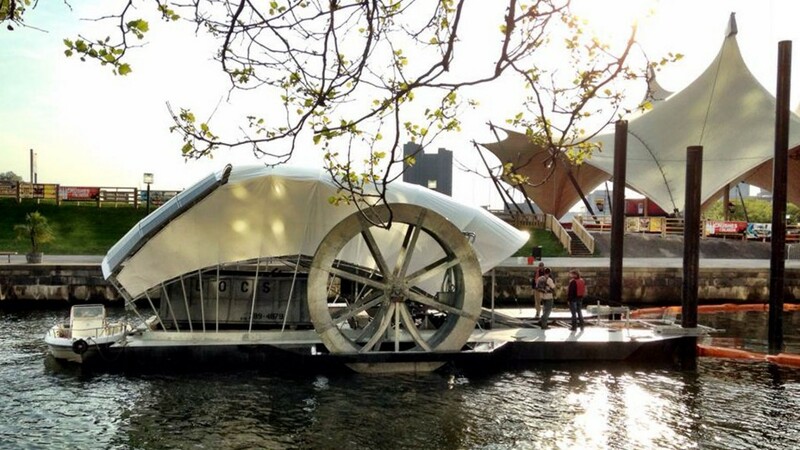 The novel invention marries centuries old technology – the water wheel – with new – solar panels. The flow of the river turns the wheel. The wheel picks up trash from the water and places it in a dumpster. When the current isn’t strong enough, the solar panels keep the machine running. Since 2014, more than 221,000 plastic bottles, 284,000 Styrofoam containers, 7 million cigarette butts, 4,000 glass bottles, 138,000 plastic grocery bags, 204,000 chip bags, and one West African Ball Python have been gathered. “The numbers are updated on a monthly basis,” said Lindquist. A time lapse video on YouTube shows it all climbing up the wheel rung after rung. The grand total thus far is somewhere around 384 tons. Jones Falls begins as a stream in Baltimore County and then fed by other streams until becoming a small river. The water wheel sits at its end. Most of the trash collected from the 40 square miles of the Jones Falls Watershed is collected after rain storms. The Waterfront Partnership of Baltimore has taken the anthropomorphism to a whole new level in efforts to engage and educate the city about water pollution. Mr. Trash Wheel has his own Twitter account, with more than 5,000 followers. Someone has photo shopped eyes onto it. He comments on current events and movies, tells jokes, advocates for a plastic bag ban, and gives updates on how much trash he’s picked up. “All the plastic bags I collected could make 27 hot air balloons,” says one tweet. “RIP” accompanies a doctored photo of the wheel dressed like David Bowie. 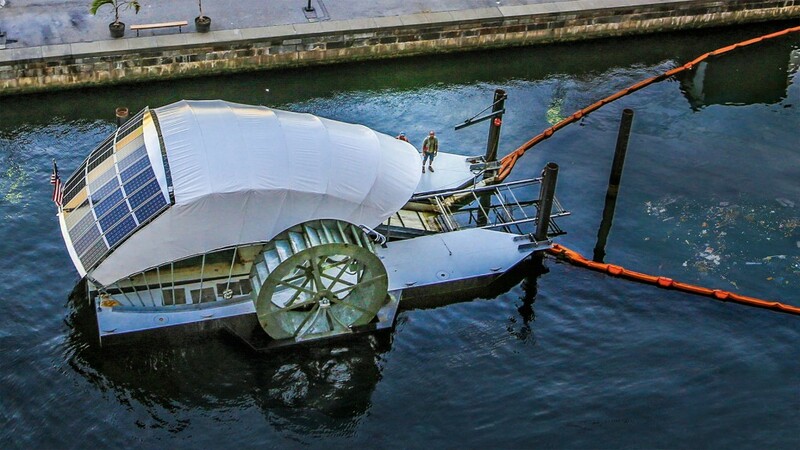 Mr. Trash Wheel is unique only to Baltimore, but Kellett’s company Clearwater Mills, Inc. has begun conversations in Singapore and Rio de Janeiro. “There is a lot of interest in getting these to more people and places around the world,” said Lindquist. Yet even while he says that, Lindquist is working on getting another in Baltimore. 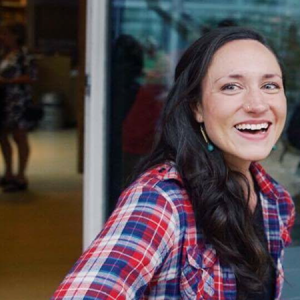 A crowdfunding campaign to raise the half a million dollars it would take was already underway, with 40 percent of the lofty goal earned.